Create a Powerful Life Plan! Ready to jumpstart your life, but not sure how? Years ago I was fat, unfulfilled, and unfocused. Then I got serious about making changes, writing an achievable life vision and goals. Starting with weight, I lost twenty-five pounds and gained great energy. This motivated me to organize my home and time, rediscover the joy in parenting, and speak professionally part-time to share with others what I had learned. That was my ideal life change, what’s yours? Create a Powerful Life Plan: 3 Simple Steps to Your Ideal Life! will help you achieve life changes in three stress-free steps. You’ll learn how to create a clear vision of your ideal life. Then, how to set and achieve simple, enjoyable goals to make that vision a reality. And finally, what to do when you become stuck, fearful, or frustrated. 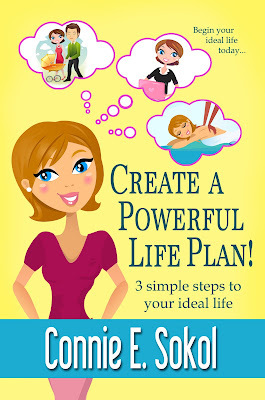 You’ll also read the real-life experiences of five women who put their Life Plan into action. 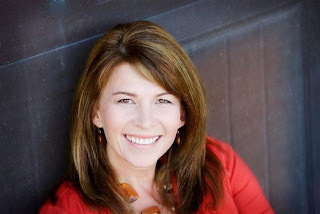 And receive online support through podcasts, video segments, blog posts and more at www.conniesokol.com. Now is the best time to become the person you want to be, and live the life you yearn to live. No gimmicks, no hoopla, just solid, time-tested principles and practices that will help you achieve your dreams and goals, and enjoy the process. So, are you ready to create your powerful Life Plan? Author Connie Sokol Connie Sokol is a mother of eight, a sought after local and national presenter, and a regular speaker at Education Week. She is a monthly TV contributor on KSL’s “Studio 5” and regular blogger for KSL’s “Motherhood Matters.” She is a former columnist for Deseret News and Utah Valley Magazine, and TV and radio host for Bonneville Communications. Mrs. Sokol is the author of several books including the award-nominated Caribbean Crossroads, Faithful, Fit & Fabulous, and Life is Too Short for One Hair Color Series, as well as the creator of talk CDs, podcasts and the “8-week Challenge.” Mrs. Sokol marinates in time spent with her family and eating decadent treats.